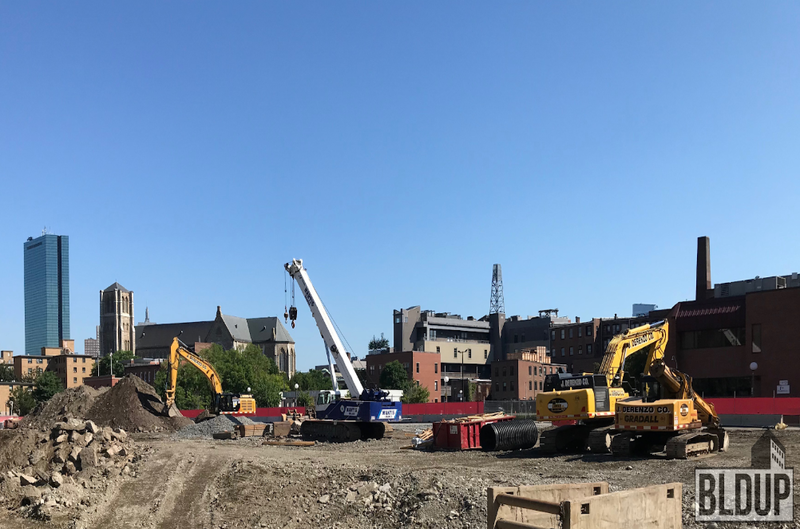 With all the construction happening in and around the Ink Block you may not have realized that a comparable residential development sitting upon 3+ acres of land between Harrison Avenue and Albany Street is shaping up just a few blocks away. The new residential complex will include approximately 650 apartments, 80,000 square-feet of office space and 20,000 square-feet of retail. The project has been scaled back slightly from its initial proposal of including 710 units, which had also included 65 affordable units, but it will still stretch (as its name indicates) from Albany Street to Harrison Avenue. This is just one of a handful of projects that have taken city planners by surprise and is forcing Boston to re-evaluate their infrastructure plans for the neighborhood. The city expected more commercial building but due to a tight housing market and lack of housing developers are constructing more housing. Let’s see if these prove to be anymore affordable than the developments currently underway just a few blocks up the street. Below is a recent photo shared on the Bldup.com. This entry was posted in South End and tagged BosGuy, Boston Guy, South End. Bookmark the permalink.